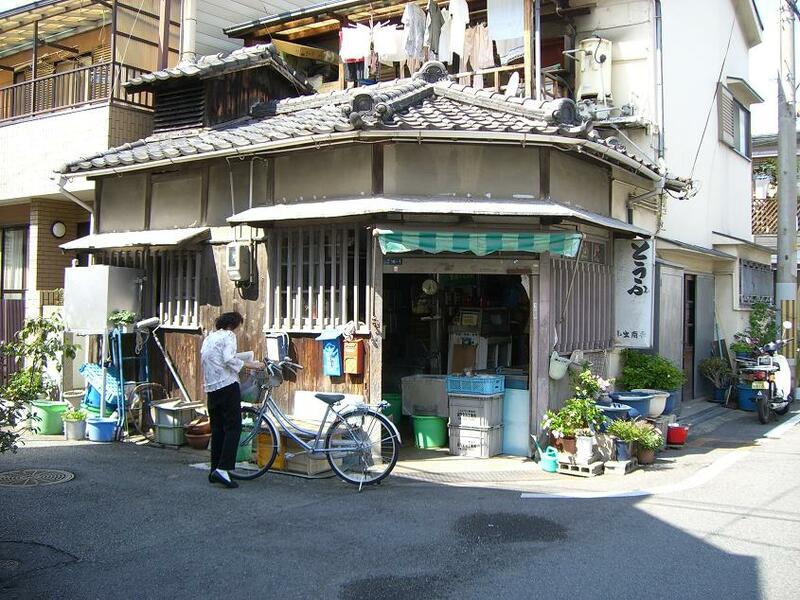 This is a great photo of a small neighborhood tofu dealer in the city of Amagasaki. The blogger who took the photo writes [Japanese text only] that the shop has been in business since 1961. You can see how time has stood still here while the rest of the neighborhood developed. Independent tofu makers who actually make their tofu on the premises are a rarity nowadays even in Japan. Ah, fresh tofu . . . there's nothing like it!